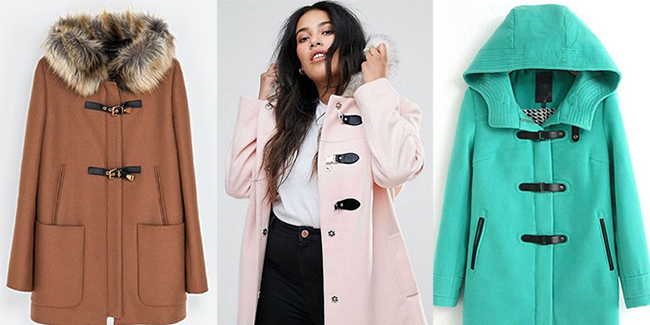 Busy planning your new Eden coat or jacket and considering choosing toggles as your fastenings of choice? 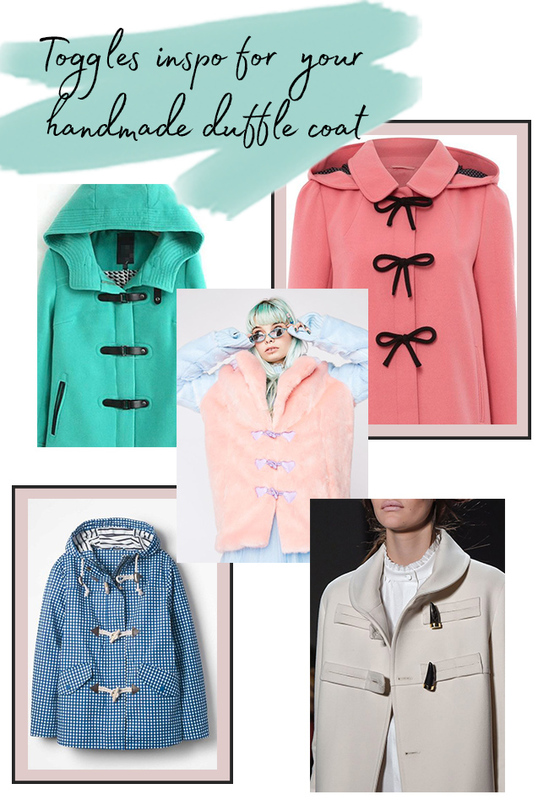 It's Nikki here with another dose of seriously lovely inspo to help you plan and make your coat of dreams. The Eden coat or jacket has the option of either snaps or toggles fastenings to keep it closed and shelter you from the elements. 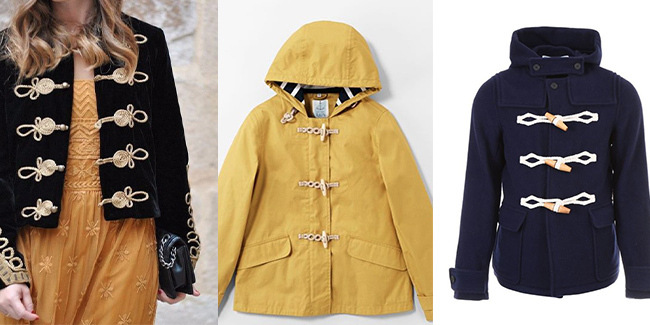 Toggles look gorgeous on both a nautical style raincoat and a winter wool duffle coat and are great for adding a bit of interest to outerwear garments. I hadn't really thought much about toggles before. I mean, toggles are toggles, right? Well, that's not strictly true. 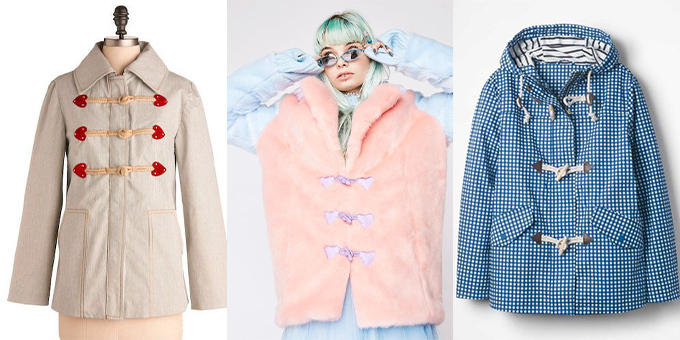 There are so many fun and interesting ways you can jazz up your toggle fastenings to make your Eden coat or jacket totally unique to you. 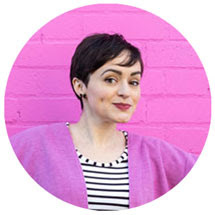 Here at Tilly Towers, we spend a lot of time planning and scheming about those little details that make our me-mades extra personal, special and fun. If you're wondering how to raise your toggle game on your Eden, then read on. One of the simplest and effective ways you can fasten toggles is with cord loops sewn directly on to your coat or jacket. Cotton, polyester or jute (for an extra rustic vibe) rope or cord work well for this and can be quite easily found in many haberdasheries. To make a cord loop, measure the distance between where you want the cord to start and the centre front, which is where the toggle will sit, and double it. Cut the first cord to this measurement. You will need two loops for each toggle - the first loop will thread through the toggle button and be sewn to one side of the coat, and the other loop will be sewn to the other side. To stop the connectors from fraying, dab some Fray Check on the ends or if you don't have any to hand, clear nail polish works just as well. When sourcing cord or rope remember to check that it will fit through the hole in the toggle. You can make it easier to thread by tightly wrapping sticky tape around the end of the cord. If you like the idea of making a feature out of cord loops and are feeling extra creative, why not try braiding, twisting or plaiting them into an interesting pattern? Precise circles, zig zags, twists - the world is your oyster here! Hand sew or machine stitch the cord to the coat with matching thread along the design to anchor it down. The stitching on the inside will be hidden by the lining so there's no reason not to go wild with an extra ambitious design! Another option is to cover the ends of the toggle connectors with leather, or faux leather, shapes. You can buy these pre-made, often with needle holes already punched in, or you can make these yourself. Triangles, semi-circles or squares are classic choices, but you could make something super fun like heart, diamond or even star shapes. Leather and imitation leather often come in an array of vivid and bright colours so this is another fantastic opportunity to let your imagination run wild. Metallic hearts anyone? Yes please. The best thing about (faux) leather is that is doesn't fray. Yay! Draw or print a template onto a bit of paper, cut it out and stick it to some cardboard to keep the shape nice and crisp. Cut out two shapes per toggle (one for each side), position where you want them and attach to the coat fabric with low stick tape. 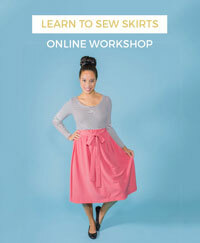 Sew on with a leather or sharp needle by hand or on the machine. Leather or faux leather strips look extra sleek when used as toggle connectors. Like their rope or cord counterparts, the ends can be sewn directly onto the coat, or covered with (faux) leather shapes. Look for leather lace, leather cord or leather thonging cord (ooh-er!) for a pre-made option. If you want to make the straps yourself this is a great way of using up leather scraps. Like when making the leather shapes, this is a good opportunity to make the connectors in bold and beautiful colours, or even matching (or contrasting) them to your toggles. 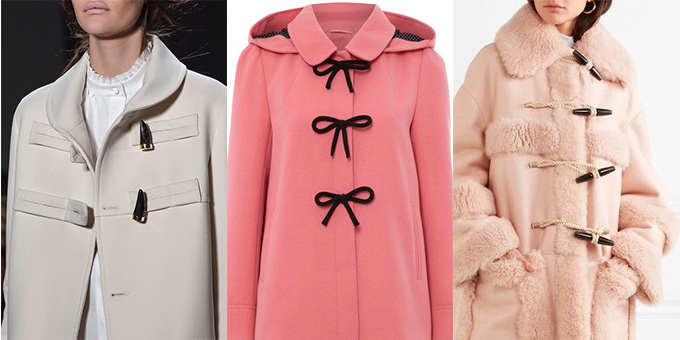 A big trend this year on ready-to-wear coats and jackets has been buckles and clip fastenings. To recreate this look, search for buckles or belt and bag making supplies in haberdasheries and fabric shops. To make something totally unique you could try raiding your wardrobe or local charity shop or thrift store for belts and bags and give them a new lease of life on a shiny new Eden coat or jacket! If the phrase "go big or go home" particularly resonates with you, a set of statement toggles might be the look for you. There are many ways in which you can get creative and add an extra fun twist to your toggle fastenings. Why not try making the toggle connectors in coat fabric to give your coat or jacket a clean and crisp look, or create an interesting asymmetric design by adjusting the length of one of the cord or leather straps. 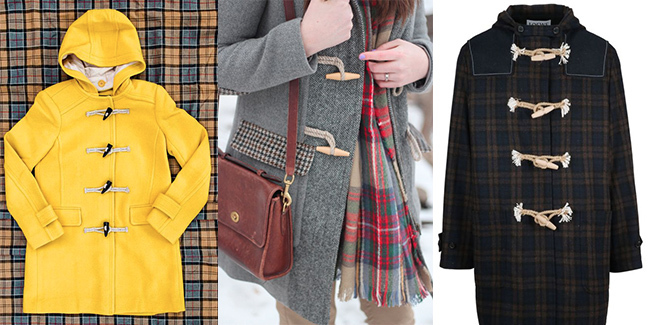 In fact, who says you need toggles at all - sew on some contrasting cord bows to make your coat or jacket really pop. And hey, a set of bold toggles means it's much more likely someone will notice (and compliment) your coat, giving you even more opportunity to proudly declare "Why thank you, I made it myself!". 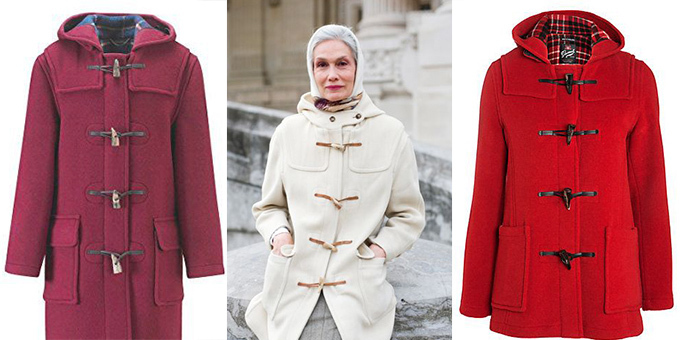 I hope you now feel extra inspired about choosing toggles for your new Eden coat or jacket! Don't forget to share your makes on Instagram @tillybuttons with the hashtag #SewingEden. We can't wait to see what you make.